One of the largest stoves in the i-series range, with a high efficiency of 79%. There are currently no reviews for this stove. Be the first to write a review for the Aarrow i400. 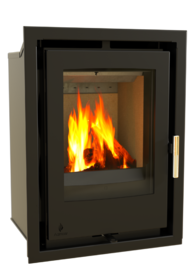 The Aarrow Sherbourne Medium stove gives out up to 8kW and is a traditional multifuel stove.